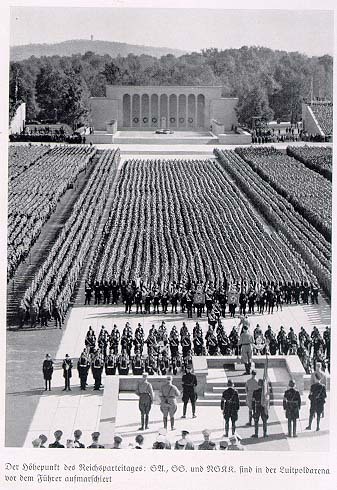 Background: The Nazi Party put out an official account of the Nuremberg Rallies each year from 1933 to 1938. 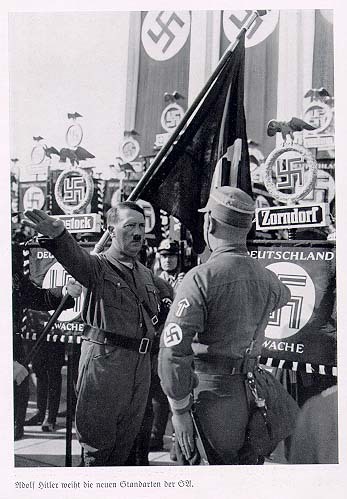 These are photographs from the official party proceedings of the 1936 rally. 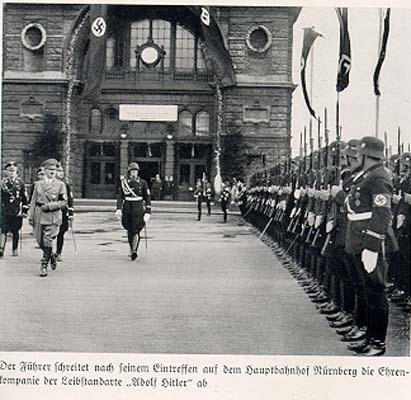 Hitler arrives in Nuremberg and is greeted by his personal guard, the Leibstandarte Adolf Hitler. 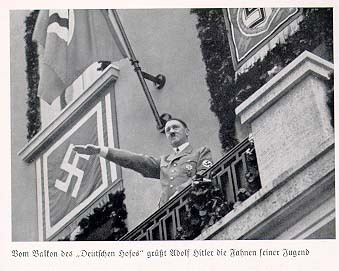 Hitlerâ€™s standard hotel in Nuremberg was the Hotel Deutscher Hof. 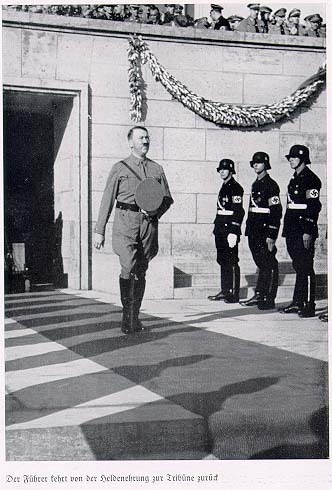 Here he greets members of the Hitler Youth. 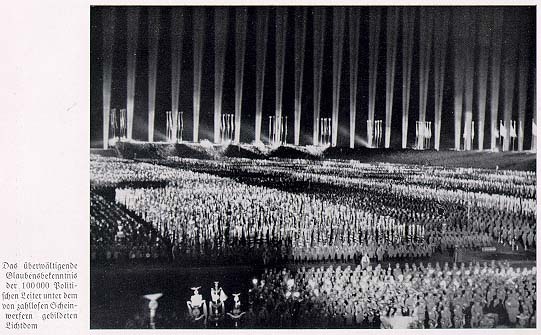 This shows the evening rally of about 100,000 party officials under the “Cathedral of Light” designed by Albert Speer. 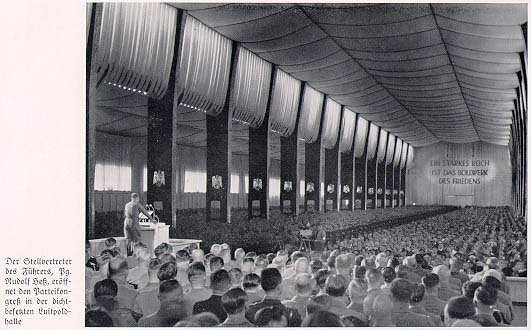 Hitler finishing an observance in honor of the dead. 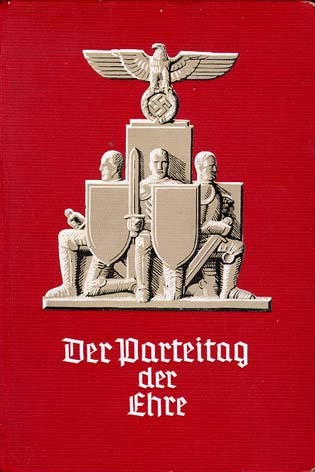 Hitler consecrated 35 new standards for the NSKK, the partyâ€™s motorized auxiliary. 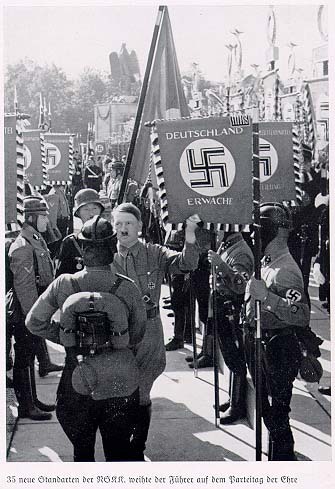 Hitler dedicates new S.A. banners. Go to the book from which these photographs come.